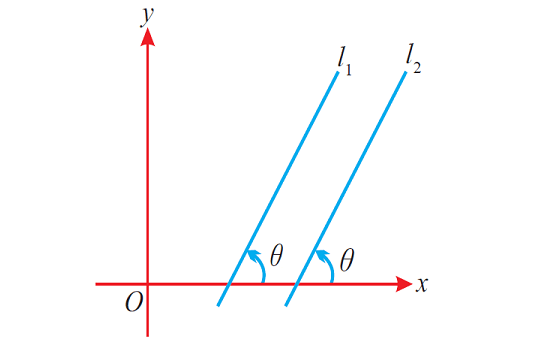 About"Condition for lines to be parallel"
(i) Condition for lines to be parallel in terms of their slopes. Let m₁ and m₂ be the slopes of two lines. (ii) Condition for lines to be parallel in terms of their general form of equations. Let us consider the general form of equation of a straight line ax + by + c = 0. (iii) Condition for lines to be parallel in terms of their slope-intercept form of equations. Let us consider the slope intercept form of equation of a straight line y = mx + b. (iv) Condition for lines to be parallel in terms of angle of inclination. Let l₁ and l₂ be two lines. (v) Condition for lines to be parallel in terms of the perpendicular distance between them. 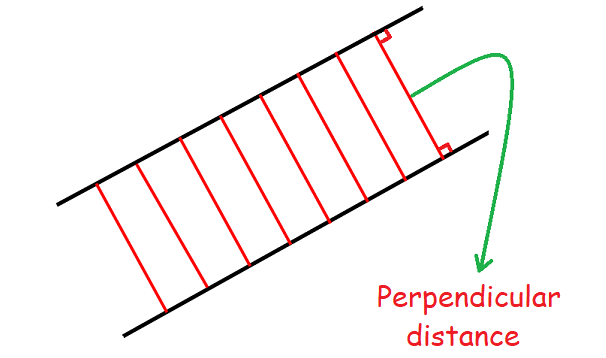 If the two lines are parallel, the perpendicular distance between them will be same at everywhere. The slopes of the two lines are 7 and (3k +2). If the two lines are parallel, find the value of "k"
If the given two lines are parallel, then their slopes are equal. Find the value of "k"
Find the equation of a straight line is passing through (2, 3) and parallel to the line 2x - y + 7 = 0. Since the required line is parallel to 2x - y + 7 = 0, the equation of the required line and the equation of the given line 2x - y + 7 = 0 will differ only in the constant term. The required line is passing through (2, 3). So, we can plug x = 2 and y = 3 in the equation of the required line. Hence, the equation of the required line is 2x -y - 1 = 0. Verify, whether the two lines 3x + 2y - 7 = 0 and y = -1.5x + 4 are parallel. In the equations of the given two lines, the equation of the second line is not in general form. Let us write the equation of the second line in general form. The above two equations differ only in the constant term. Hence, the equations of the given two lines are parallel. Verify, whether the two lines 5x + 7y - 1 = 0 and 10x + 14y + 5 = 0 are parallel. In the equation of the second line 10x+14y + 5 = 0, the coefficients of "x" and "y" have the common divisor 2. After having gone through the stuff given above, we hope that the students would have understood "Condition for lines to be parallel". Apart from the stuff, "Condition for parallel lines", if you need any other stuff in math, please use our google custom search here.